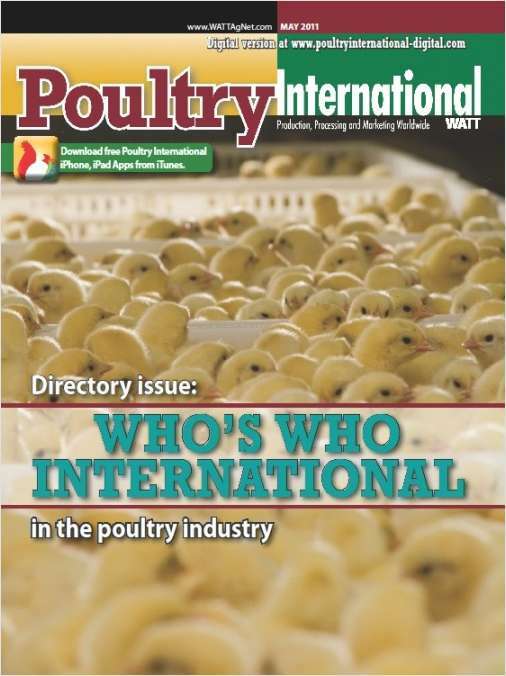 Free Digital Subscription: "Poultry International"
Is viewed by commercial poultry integrators as the leading international source of news, data and information for their businesses. By submitting this content request, I have legitimate interest in the content and agree that WATT, their partners, and the creators of any other content I have selected may contact me regarding news, products, and services that may be of interest to me. WATT will occasionally send you subscription and editorial e-mails. If you prefer not to receive their industry 3rd party e-mail advertising and information from WATT's clients, please check here. Do you wish to receive a FREE digital subscription to Poultry International? Do you wish to receive WATT's free monthly email newsletter 'Feed E-News'? Is the company you work for an INTEGRATOR? In order to verify your request for this publication, without the availability of a signature, WATT's audit bureau requires that they ask a personal indentifying question. This information is used solely for the purpose of auditing your request. What is the first letter of the city you were born in? Complete and verifiable information is required in order to receive this subscription. • Geographic Eligibility: International (Not including USA. If you are in the USA, please click here: Watt Poultry USA.). • The publisher determines qualification and reserves the right to limit the number of free subscriptions.